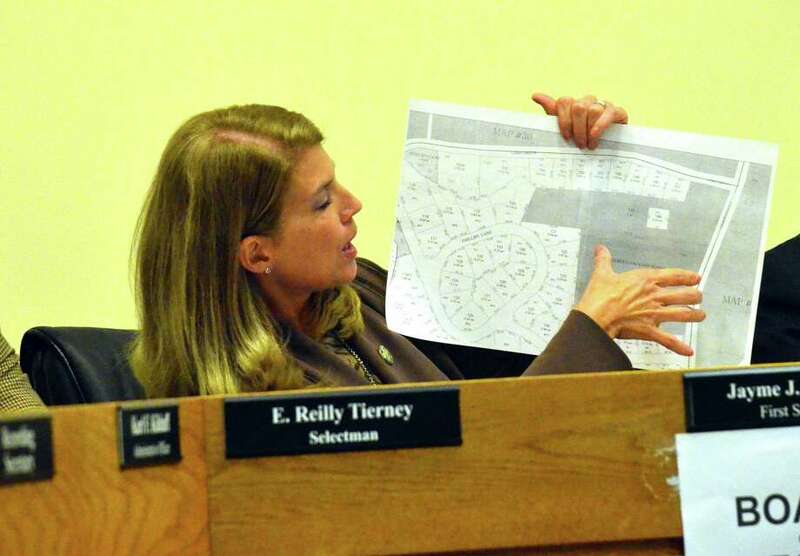 Darien's first selectman, Jayme Stevenson, said 2014 was a very busy year. Productive, but very busy. Stevenson was asked about her 2014 -- the good and the bad -- and about what 2015 holds for her and the town of Darien. What do you think were your top five accomplishments in 2014? 1. After five years of planning, the opening of the Mather Center in the summer of 2014, new home of the town of Darien's Senior Activities Program, is a vision for our community come true. For far too long, our older residents participated in social programs in a building originally build for kindergarten-aged children, right down to the child-sized toilets. The vision was to construct a facility that our town can be proud of and is respectful of our more senior residents. We had a vacant facility at 35 Leroy that needed a use, a building that was falling down around our seniors (30 Edgerton) and the desire to help further revitalize our senior program and provide a place where our seniors could come together with other folks in the community. The Mather Center project, referred to in the media as the Shuffle, was the solution. Move the Board of Education administrative offices to 35 Leroy, giving the BOE Admin their own sense of place, demolish 30 Edgerton and save the town on the prohibitive operating expenses associated with that failing facility and build a state-of-the-art community center for our senior program. The benefits of having the senior program in a space contiguous to other town services like the Health, Human Service and Parks and Recreation departments is immeasurable and just plain smart thinking. The Mather Community Center is a place that we all can be proud of and will no longer hesitate utilizing when we are all seniors. 2. The Town Plan of Conservation and Development recommends that, because we are 98 percent developed, we should, when the opportunity arises, acquire open space and properties that are adjacent to town-owned land. In my memory, the town has never actually acquired property, but has given some financial support to the Darien Land Trust for that purpose. This past year, I negotiated the purchase of two significant properties -- 4 Short Lane and 32 Hoyt Street. 4 Short Lane was the last privately owned parcel within the larger Weed Beach "campus." Acquiring this property will allow the Parks and Rec Commission to plan for added amenities to Weed Beach in the coming years. The second parcel -- 32 Hoyt Street -- is a parcel adjacent to Holmes School. Its acquisition will give the Board of Ed flexibility with future facilities planning and will enhance the security of the Holmes School property. The house was accessed through the Holmes School parking lot -- not ideal by any means. 3. Darien has the enviable problem of what seems to be a shortage of parking for both our downtown customers, employees and commuters. We introduced a new parking management system at the two train stations that now allows daily commuters who do not have an annual permit to pay for parking at a pay station or by using a smart phone app. Formerly, they had to by scratch off tickets at a third-party vendor and place the ticket under the windshield. I'm pleased that we were able to move into the 20th century with new parking technology. This new system will now allow us to generate reports and monitor parking utilization going forward, as well as integrate license-plate-reader technology for enforcement. Not only will this save manpower and time for our parking enforcement personnel, but users have a much easier time with payments. They can even pay from their smart phone or computer when they are on the train after they park. 4. We hired an outstanding new Director of Public Works, Mr. Ed Gentile, to replace retiring Department Head, Mr. Bob Steeger. 5. I convened the Consolidated Services Working Group to help find savings and efficiencies by the Town of Darien and the Board of Education consolidating some non-educational services. What would you have handled differently or have wanted to spend more time /resources on? I would have liked to finish the very important Intervale Drainage project and I would have liked to have made more positive and productive headway with the Consolidated Services Working Group process. There are many things the town and the BOE can do together that would save the taxpayers money, but there needs to be a willingness to do so. We will continue our efforts in 2015. I remain hopeful. I also wish I could have been more involved in helping to facilitate a public dialogue on the issue of the problems in our Special Ed department. There is, by statute, a division of duties between BOE and town government. I tried to respect my lack of statutory authority, but I in hindsight wish I would have stepped forward in my leadership role to bring the community together. What are your greatest challenges going forward? Funding is always a challenge to many municipal goals, particularly when they come in the form of unfunded mandates from the state. Also, 2015 is an election year, so this creates some uncertainty as to the makeup of the BOS and the other decision-making boards. The current BOS works well together, so I hope everyone will consider running for another term. What will you need to do to meet the challenges? Budget and spend wisely, prioritize projects, plan ahead, listen, communicate well and be patient!